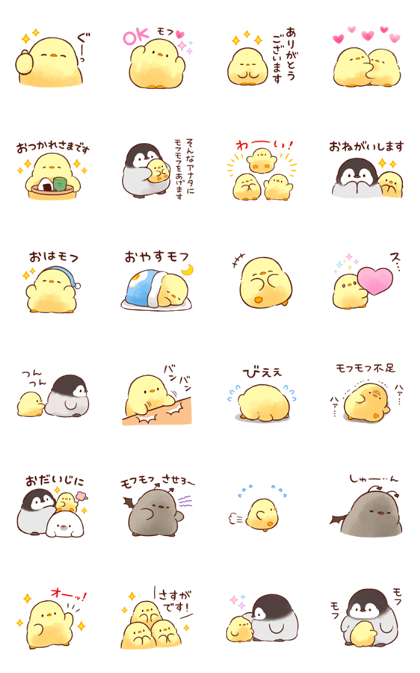 These Soft and Cute Chick stickers are animated too! 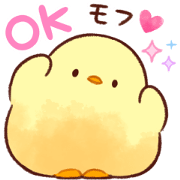 Let this cute little chick move around in your chats and make everything alright again pronto! 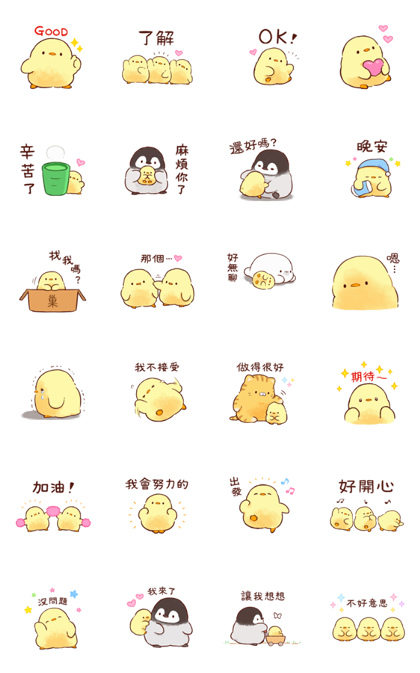 This is a soft and cute chick sticker set, now fully animated. Let these cute moving chicks heal away your troubles. Their penguin and seal buddies come along for the ride.